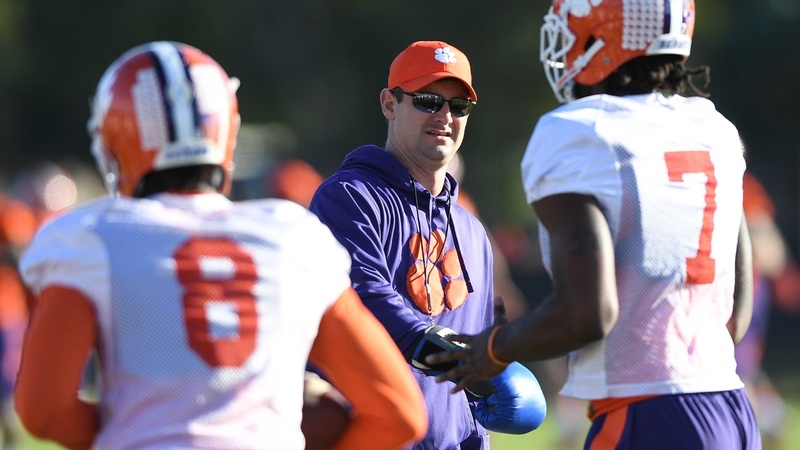 Clemson co-offensive coordinator Jeff Scott is one of 53 nominees for the Broyles Award, given to the top assistant coach in the nation. According to the Broyles Award website, the award "was established in 1996 by Coach Frank Broyles and David Bazzel to recognize the impact assistant coaches have on college football. Coach Broyles’ legacy lives on, through the countless lives he impacted on and off the field, through the Broyles Foundation and their efforts to support Alzheimer’s caregivers at no cost, and through the Broyles Award nominees, finalists, and winners that continue to impact the world of college athletics and beyond." If Scott were to win, it would be the third straight year that a Clemson coach has taken the award home. It went to Clemson defensive coordinator Brent Venables in 2016, and Scott's offensive coordinator counterpart Tony Elliott in 2017. This season, the Tigers are averaging 478. points per game, good for fourth in the nation. They also rank in the top ten in total offense (7th, 538 YPG) and rushing offense (7th, 265.33 YPG), and sit at 30th in passing offense (272.7 YPG).